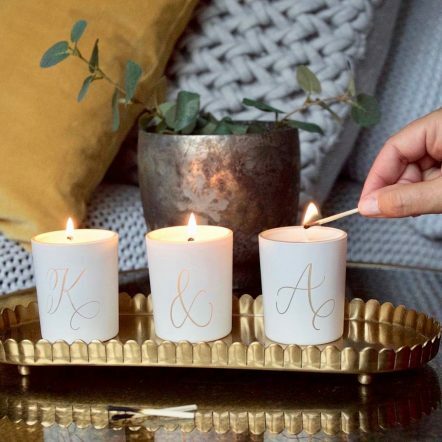 Beautifully scented, these hand poured, glass votive candles are etched with beautiful letters to spell out your initials softly illuminated by candlelight when lit. 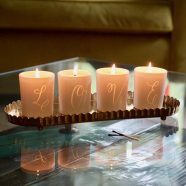 Thoughtful and heartfelt this votive set is a lovely way to tell someone how you feel about them and they look so pretty in the bedroom, living room or bathroom. 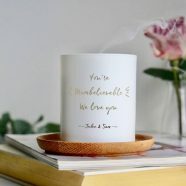 They make lovely keepsakes too. 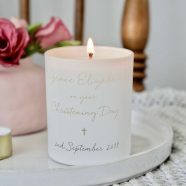 Once your candle has burnt down you can simply place a tea light or flowers in the glass jar and continue. 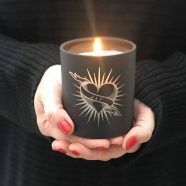 Each candle is made especially for you and will be presented in a natural, buff coloured gift box. 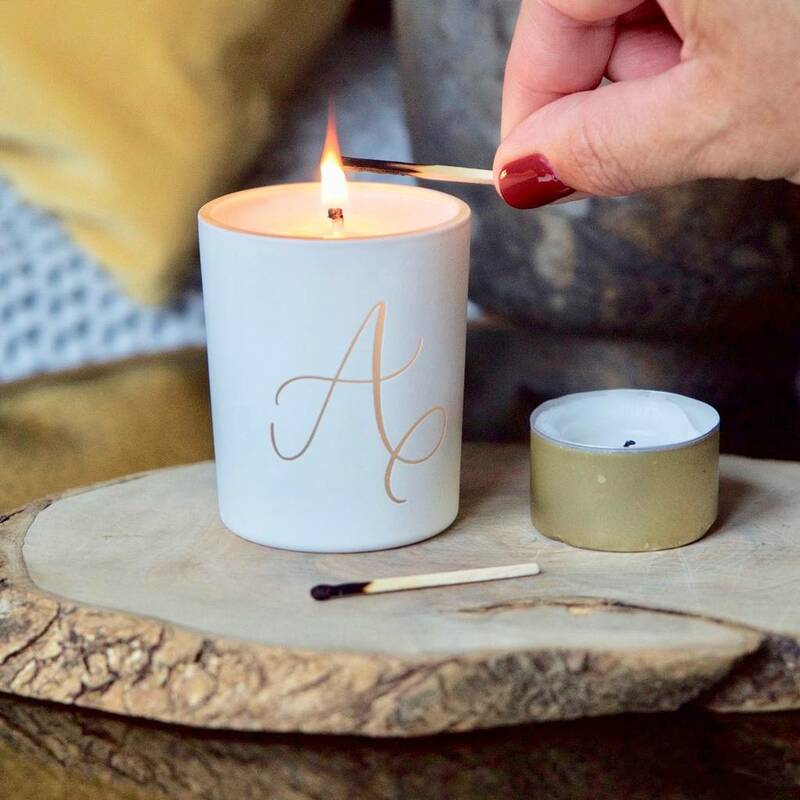 – Fireside embers- the comforting scent of a crackling log fire with rich woody notes of birch and cedarwood. 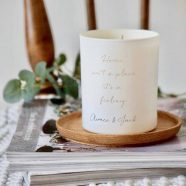 – Moroccan rose- relaxing and romantic, with floral notes and a woody base, the scent of a rose garden at dusk.